The major philosophers with whose work we are primarily occupied represent only a portion of the eighteenth century’s great cultural upheaval, often known as the Enlightenment. A host of other figures throughout Europe responded to the challenges of life and thought in ways that are independently interesting, even though they proved to be somewhat less influential on the philosophical tradition. Among the British, we continue to see an intense concern with the practical affairs of morality and politics.As a professor of moral science, Adam Smith defended Hutcheson’s notion of a moral sense and proposed the application of Hume’s naturalism to the emerging discipline of political economy. His results are often regarded as the classic statement of the theoretical foundations for modern capitalism. Richard Price expressed many similar concerns. But William Paley, on the other hand, rejected the intuitionistic approach of his contemporaries. Paley grounded morality as a rational consequence of natural theology based on the teleological argument for the existence of god. Mary Wollstonecraft defended the principles of the French revolution and argued that women were no less rational and therefore as deserving of educational and economic opportunity as men. Scottish professor Thomas Reid believed that Hume’s skepticismdemonstrated the abject failure of its representationalist origins. On Reid’s view, we should reject the entire “way of ideas” and adopt the straightforwardrealism of common sense. Sense perception, then, is a direct relation between the perceiver and an existing external object; apparent cases of illusion must be resolved by appeal to the distinction between primary and secondary qualities. Although it is now little remembered, Reid’s thought was greatly influential in Britain and the United States for more than a century. Among Germans, the Enlightenment was studiously academic. Development of the German universities fostered a preference for synoptic philosophizing: the goal of German philosophers was often to combine rational and empirical elements in a single comprehensive system. Both Leibniz and Christian Wolffhad tried to develop complete metaphysical systems that could explain the phenomena of nature in rationalistic terms. Lessing fondly recalled the metaphysical monism of Spinoza, and Moses Mendelssohn mounted a lofty defense of the immortality of the human soul. But many of these efforts ignored the force of Hume’s skeptical arguments, rather than responding to them constructively. The greatest philosopher of the German Enlightenment,Immanuel Kant, took a different approach. In France, the skepticism promoted by Bayle helped to promote opposition to the church and to encourage political revolution. The Encyclopedists and “free-thinkers” of the eighteenth-century sought to undermine confidence in established social positions of every sort. Voltaire’s, for example, was a brilliantly mocking voice that aimed to deflate any and all claims of certitude. If we agree that god exists, he supposed, we must then face the severe difficulties presented by the existence of evil in the world. (In Candide Voltaire savagely attacked the practical consequences of Leibniz’s claim that this is “the best of all possible worlds.”) If we suppose that morality is vital for human life, we must somehow learn to deal with the evident determination of the will. Above all, Voltaire bitterly rejected all claims of social or religious authority. As a brilliant, undisciplined, and unconventional thinker, Jean-Jacques Rousseau spent most of his life being driven by controversy back and forth between Paris and his native Geneva. Orphaned at an early age, he left home at sixteen, working as a tutor and musician before undertaking a literary career while in his forties. Rousseau sired but refused to support several illegitimate children and frequently initiated bitter quarrels with even the most supportive of his colleagues. His autobiographical Les Confessions (Confessions) (1783) offer a thorough (if somewhat self-serving) account of his turbulent life. Rousseau first attracted wide-spread attention with his prize-winning essay Discours sur les Sciences et les Arts (Discourse on the Sciences and the Arts) (1750), in which he decried the harmful effects of modern civilization. Pursuit of the arts and sciences, Rousseau argued, merely promotes idleness, and the resulting political inequality encourages alienation. He continued to explore these themes throughout his career, proposing in Émile, ou l’education (1762) a method of education that would minimize the damage by noticing, encouraging, and following the natural proclivities of the student instead of striving to eliminate them. Rousseau began to apply these principles to political issues specifically in his Discours sur l’origine et les fondements de l’inégalité parmi les hommes(Discourse on the Origin of Inequality) (1755), which maintains that every variety of injustice found in human society is an artificial result of the control exercised by defective political and intellectual influences over the healthy natural impulses of otherwise noble savages. The alternative he proposed in Du contrat social (On the Social Contract) (1762) is a civil society voluntarily formed by its citizens and wholly governed by reference to the general will[Fr. volonté générale] expressed in their unanimous consent to authority. Rousseau also wrote Discourse on Political Economy (1755),Constitutional Program for Corsica (1765), and Considerations on the Government of Poland (1772). 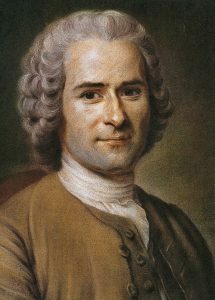 Although the authorities made every effort to suppress Rousseau’s writings, the ideas they expressed, along with those of Locke, were of great influence during the French Revolution. The religious views expressed in the “Faith of a Savoyard Vicar” section of Émile made a more modest impact. Swiss philosopher Jean-Jacques Rousseau also harbored a profound dislike for authority (or even structure) of any sort and sought to restore a proper respect for the creativity and worth of individual human beings. But Rousseau also explored the political implications of these ideas: his notion of individual liberty and his convictions about political unity helped to fuel the romantic spirit of the French Revolution. In the second of his essays for the Dijon competition, the Discours sur l’origine et les fondements de l’inégalité parmi les hommes (Discourse on the Origin of Inequality) (1755), Rousseau emphasized that the natural condition of humanity is disguised by the corruptive influence of civilization. 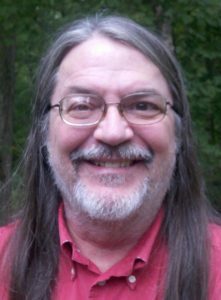 Reliance on the feeling of compassion and on native respect for sentience, he believed, was an adequate guide for human life. Although some few natural inequalities among individual human beings are inevitable, Rousseau argued that the far more significant moral and political inequalities are purely conventional in origin. Savage human beings, like animals of any species, are well-adapted by nature to their surroundings in the natural world. In the absence of any discursive reasoning about themselves, such beings have no need for morality or a concept of duty. Their lives are wholly guided by their feelings of pity and love for each other, and conventional inequalities do not arise. It is concern for private property, according to Rousseau, that gives rise to civil society. Everyone’s well-being is served by reliance on each other in the basic cooperation that characterizes the family as a primitive social unit, designed to secure the necessities of human life. But the very success of this cooperative effort produces time for leisure, which in turn leads to the production of agriculture and industry. These developments require ownership of land and promote acquisition of wealth, both of which entail the protection of a stable government. Thus, Rousseau held, a body politic must be established by means of a contract that unites many wills into one. The details of this process Rousseau described in Du contrat social (On the Social Contract) (1762). At the outset, Rousseau notes that since perfect freedom is the natural condition of human beings, it is the existence of social restrictions that requires explanation. Only the family is truly a natural association, and its features are commonly extended far beyond the basic needs from which it arises. Military conquest and slavery in its usual forms cannot establish any genuine right for one person to rule over another. So, Rousseau concluded, society must devolve from a social contract in which individual citizens voluntarily participate. Each citizen chooses to trade the natural liberty of independent life for the civil liberty secured by the state, allowing social rights over property to outweigh individual rights. But according to Rousseau, this surrender of each to the good of the whole must take place in a way that also secures the unity of all in a desire for what will most benefit the whole. “Trouver une forme d’association qui défende et protège de toute la force commune la personne et les biens de chaque associé, et par laquelle chacun s’unissant à tous n’obéisse pourtant qu’à lui-même et reste aussi libre qu’auparavant.” This is the fundamental problem of all social organization: to secure the participation of every individual in the general will. As Rousseau envisioned it, the general will [Fr. volonté générale] is not merely the cancelled-out sum of all the individual wills of those who participate in the social contract, the will of all [Fr. volonté de tous]. Indeed, he warned that the influence of parties representing special interests is directly inimical to the sort of sound public deliberation that can arrive at a consensus regarding the welfare of all. So thoroughly must each individual surrender to the whole as to acknowledge that “sa vie n’est plus seulement un bienfait de la nature, mais un don conditionnel de l’Etat”. By entering into the original agreement, I have sworn to seek only the welfare of the community, no matter what the consequences may be for me. The general will must be concerned solely with the general interest, which is the inalienable responsibility of the sovereign body, expressed through legislation. Although the general will must be arrived at through reasoned deliberation in the state as a whole, its execution depends upon an embodiment in the structure of government. Thus, for Rousseau, distinct forms of government have to do only with the execution of the sovereign laws: democracy is dangerous in application to particular cases, where the general will can easily be lost in the pressure of private interests; aristocracy is acceptable so long as it executes the general will rather than serving the welfare of the ruling elite; and monarchy clearly raises the temptation to serve private welfare at the expense of the common good. The appropriate form of government for any state depends upon the character of its people and even its physical climate, Rousseau supposed, and its success can be measured easily by the extent to which its population thrives. Abuses of power can, of course, threaten the very life of the state. When the government—properly responsible only for carrying out the general will—takes upon itself the sovereign responsibility of establishing legal requirements for the people, the social contract has been broken. For Rousseau, then, the establishment of a government is always provisional and temporary, subject to the continual review by its citizens. Since the legitimacy of the social contract depends upon the unanimous consent of all the governed, the sovereign general will is fully expressed only in an assembly of the entire population. Even the effort to establish a representative legislative body is an illusion, according to Rousseau, since the general will can be determined only by each for all. The general will, abstractly considered as a commitment to the welfare of the whole, is indestructible in principle, Rousseau held, even though it may be overridden by undesirable motives in practice. The original contract requires perfect unanimity, and major issues should be decided by a major portion of the population, but simple matters requiring quick action may be determined by a simple majority. In each case, Rousseau supposed that open inquiry and debate will converge on an awareness by each individual of what is truly in the best interest of the community as a whole; and that is the general will. Positions of leadership that require skill should be decided by election, while those that demand only good sense should be chosen by lot. In a final reminder of the nature of the general will, Rousseau noted that it is distinct from the social customs that may be endorsed or expressed as public opinion. These are not determinations of what is best for all, but merely codifications of the conventional mores of the people, and should occupy a correspondingly lesser status. Even when incorporated into the civil religion, with an appeal to the full force of divine as well as human approval, he insisted, social customs are merely that.